The process of obtaining consumer satisfaction feedback from individuals with cognitive disabilities has historically been via interview or proxy processes which can have the effect of losing the direct voice of the individual receiving services. 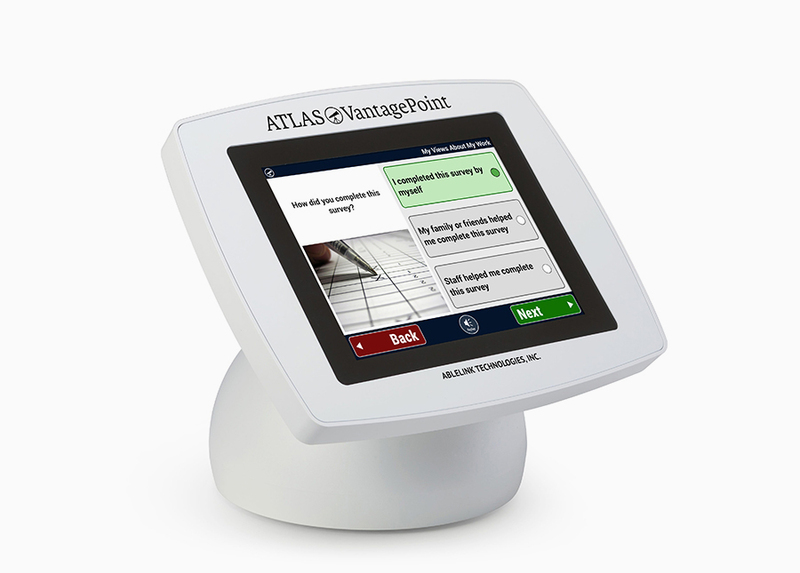 ATLAS VantagePoint is designed to provide the opportunity for direct expression of customer satisfaction while minimizing the potential influence of an interviewer, and enables your agency to immediately access real-time data from the individuals you serve - all without expensive data entry costs! 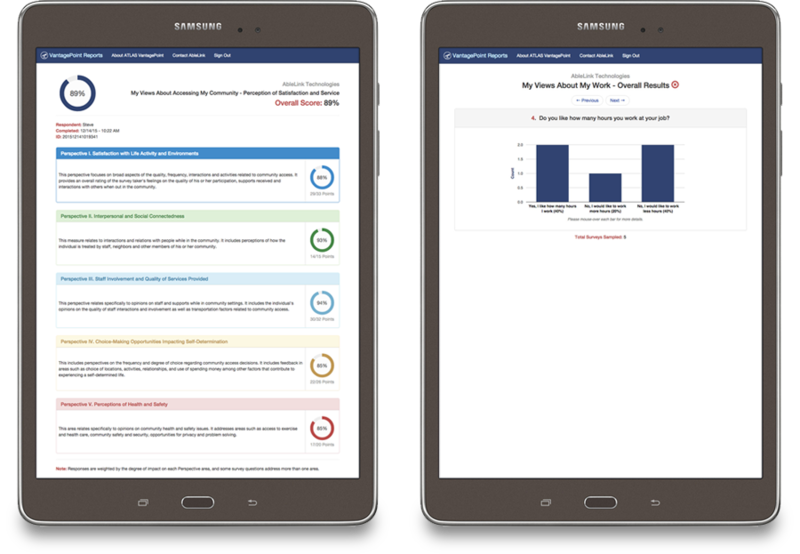 VantagePoint Reports is a cloud-service that allows you to view survey results immediately after surveys are completed. Download data or view bar charts and our unique “Perceptions” reports that provide results across five key dimensions: General Satisfaction with Life Activity and Environments, Interpersonal and Social Connectedness, Staff Involvement and Quality of Services Provided, Choice Making Opportunities Impacting Self-Determination, and perceptions of Health and Safety.